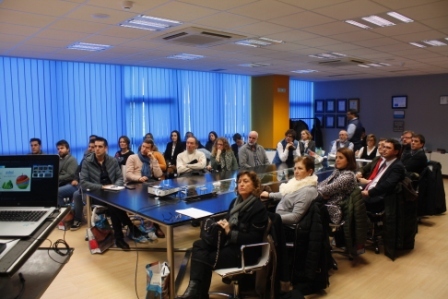 The members of ADEFAN (Association for the Development of Family Business Navarra) visit EXKAL partner. The business project of the associated company Exkal was declared investment of regional interest by the Government of Navarra in September 2018. Dedicated to commercial refrigeration and located in Marcilla, the investment proposed by the company is 25 million euros and provides for creation of 500 direct jobs. 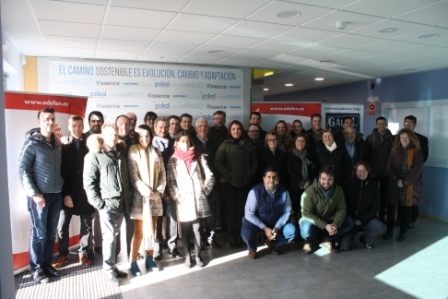 A group of 40 members of ADEFAN visited the company on Monday, January 14 to learn about the facilities that the Antoñanzas family is promoting. Alfonso, Daniel and Ion Antoñanzas hosted a meeting that left a great taste in all attendees.